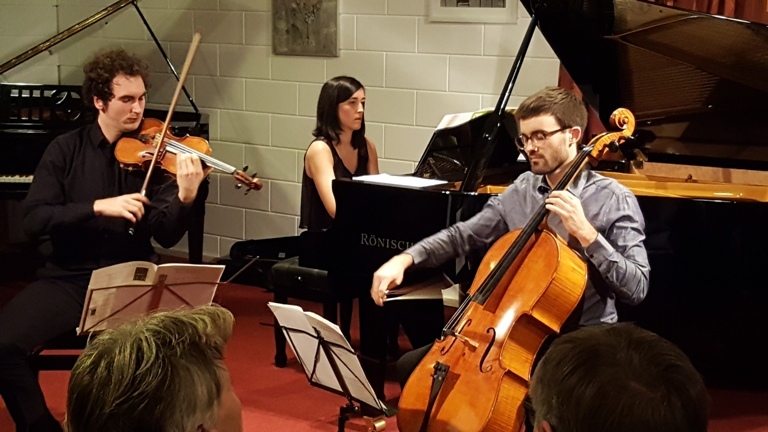 Het verbluffend mooie concert in september van Het Camus Trio vroeg gewoon om een ‘encore’. 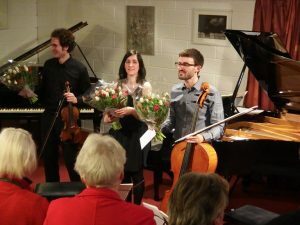 Raquel Garzás García-Pliego, piano; Pau Marques i Oléo, cello en Luis Caballero Estremera, viool zorgden voor een prachtig programma met werken van A. Dvorak, A. Piazolla en D. Shostakovic. Er is altijd veel animo voor onze concerten. Vanwege de storm, meldden zich een aantal personen af, maar ook dit keer weer was het bijna ‘volle bak’! Raquel Garzás was born in Spain in 1992. She began playing the piano at the age of seven. Currently she is studying the second year of her Master’s degree at the Koninklijk Conservatorium of Den Haag taught by David Kuyken. 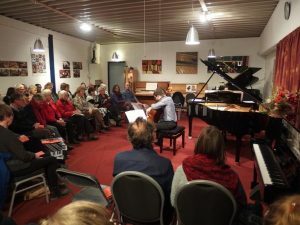 She has also received tuition from Galina Eguiazarova, Claudio Martínez Mehner, Nino Kereselidse, Galina Iwanzowa, Begoña Uriarte, Jose Mª Colom, Imre Rohmann or Tibor Szasz among others. 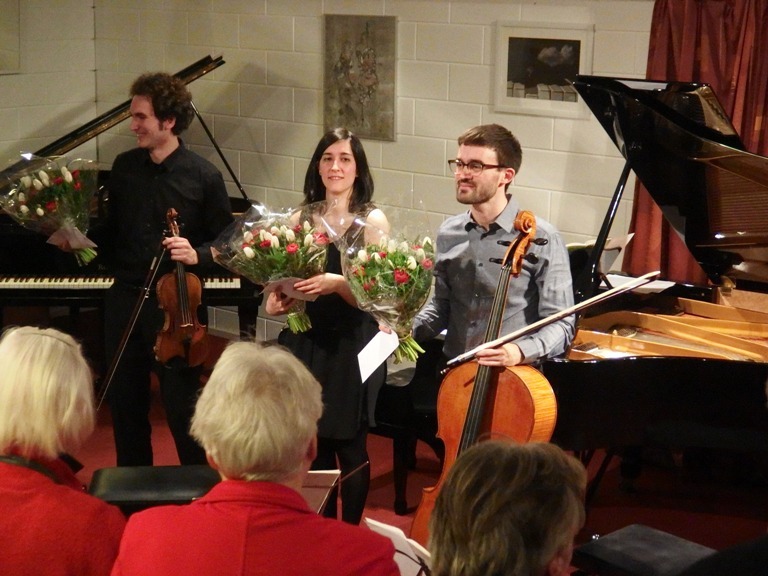 competition at the Conservatorio Profesional de Música in Puertollano (Ciudad-Real), second prize in the piano competition of “Diputación de Albacete” and highly commended for the best performance of Spanish music. 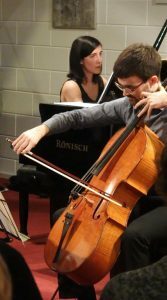 In recent years she has performed as a soloist with several orchestras, one of the “Orfeón Donostiarra” in the National Auditorium of Madrid. She has played with the NJO Summer Academy for the last four years lead by Etienne Siebens, Antony Hermus, Jasper de Waal and Marc Krone. This included working with Steve Reich, the composer in residence in 2013, on a number of his works for a concert in his honor.